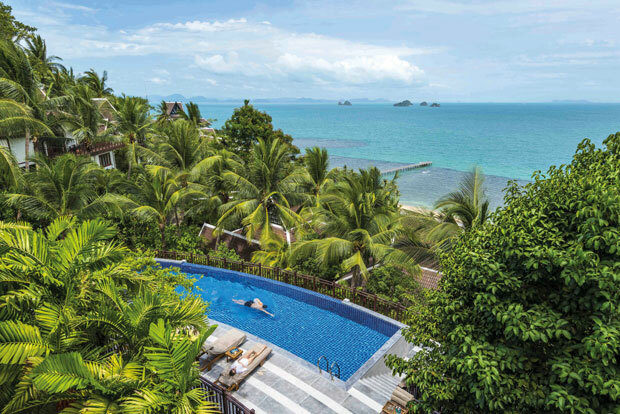 Sarah Gallivan experiences a taste of paradise in Thailand's exotic resort of Koh Samui. 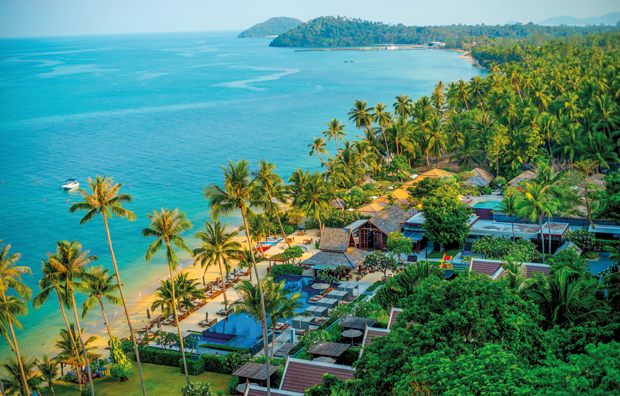 Being a firm favourite with couples looking for an exotic long-haul honeymoon destination, I was intrigued to find out why, and I soon discovered that Koh Samui has it all – beautiful white beaches, crystal-clear turquoise waters, interesting places to visit, scrumptious food and a resort that oozes romance. Our Thai Airways flight was the perfect start. We were lucky to be travelling business class, or Royal Silk as Thai Airways call it, and I can honestly say it was the best flight I've ever experienced. Upon boarding there was a glass of bubbly waiting for us and our hostess couldn't have done more to make sure we were comfortable. The on-board cuisine, amenities (our very own massage beds) and entertainment were second-to-none. was going to be our luxurious home for the next few days and we couldn’t wait. Before we travelled I researched the resort (as you do) to see what it had to offer and it looked truly stunning. But that didn’t prepare me for what we were about to experience as you have to be there in person to truly appreciate the breathtaking surroundings and first class service – we were made to feel like royalty. On arrival we were introduced to the lovely Steve, our personal butler for the duration of our stay. As we took in the panoramic views of the ocean, we knew we were in for a treat here. The resort consists of 79 rooms, suites and villas, which are situated within 22 acres of picturesque grounds, all with sea views and high quality interiors. If you decide to take your nearest and dearest with you on your getaway, the great thing is you can all stay in separate hillside villas but there's a shared pool for each community so you'll have the feeling of togetherness throughout your stay. There's a suspension bridge set in the hillside to get to the heart of the resort from the accommodation, with the bridge doubling up as an amazing viewpoint for looking out to sea – I felt like I'd just stepped into the set of ITV's I'm A Celebrity Get Me Out Of Here! walking over it! We stayed in one of the Club Beachfront Pool Villas and all I can say is, 'wow!' As I write this I'm sat on the private sundeck next to the villa's personal pool, surrounded by colourful tropical gardens – I could get used to this as my office for sure. All beachfront villas have direct beach access just a few metres away and is the perfect accommodation for newlyweds as you have the choice of a day to yourselves in your villa grounds or join the social scene around the pool. There's a perfect mix of tranquil and buzzing spaces here. 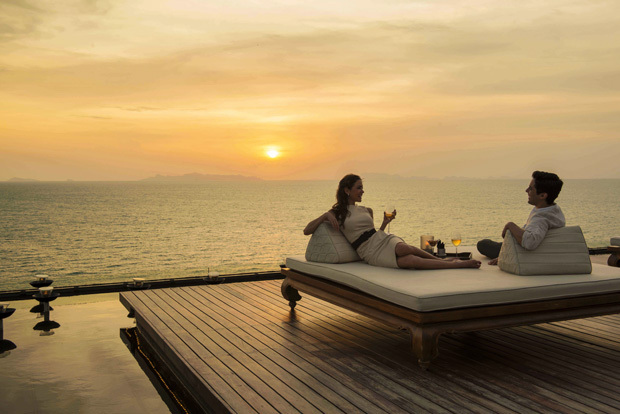 The only dilemma we found ourselves in was whether to enjoy cocktails on our sundeck or in the fabulous open-air cocktail bar with mesmerising views across The Gulf of Thailand! 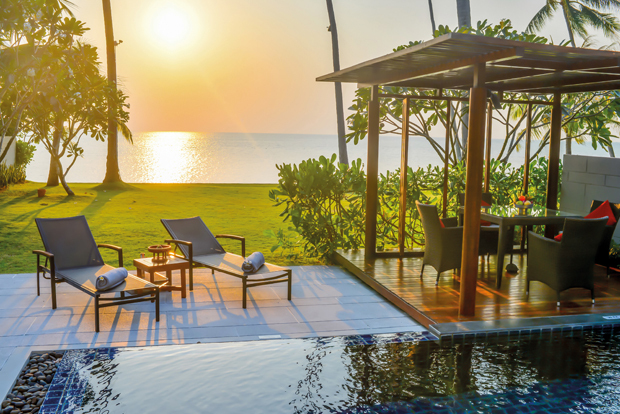 When it comes to swimming pools you'll be spoilt for choice as there are seven options, including the island's most spectacular infinity pool, or your own if you stay in a beachfront villa. 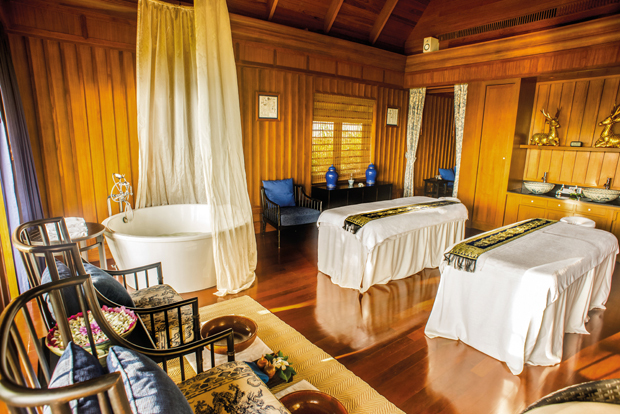 You can also treat yourself to some pampering at the award-winning Baan Thai Spa by Harnn. My hubby's not a spa lover but I managed to talk him into sampling a 60-minute massage and aloe vera body wrap in the private couple's treatment room. It was really romantic and even he was surprised at how much he enjoyed it – although they had to go easy on the sun burnt shoulders! There's a menu bursting with pampering journeys inspired by Thai and Asian traditions and heritage. I could have easily stayed in there for the duration. The resort has its own pier and speedboat if you fancy a romantic trip out at sea and the beach is another peaceful retreat for the sun worshippers out there. Foodies will love the resort's two restaurants. 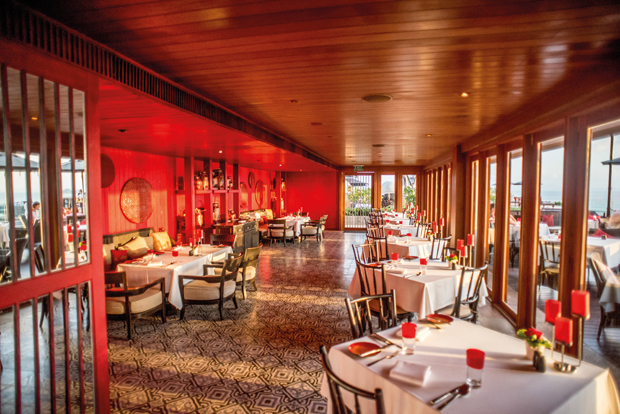 Amber and Flames are elegant, stylish and romantic settings that offer dreamy views across the ocean and delicious menus. I'd recommend trying the chef's speciality of Thai-infused sea bass for two – so fresh that we picked it from the restaurant's tank! The highlight for me was our private candlelit dinner on the beach. We chose a barbecue option that included a mixture of fresh seafood and steak cooked on the coals. Couples should definitely try this out – candles were lit, wine poured and it was just the two of us with sand at our feet and the sound of waves lapping gently against the shore. You can also choose to have a private dining experience at your villa for a more intimate experience. Amber also has a wine cellar with over 1,000 labels and a sommelier to pair wines to any palate and dish. For those looking for a few active days (or nights) you can head out to explore the buzzing nightlife and charming fishing villages of Koh Samui. Take a boat ride and go snorkeling at Koh Tao Turtle Island or scuba diving at Ang Thong National Marine Park, regarded as the inspiration behind Alex Garland's novel The Beach. You can also see for yourself how the island's residents have entertained themselves throughout the centuries by watching some buffalo fighting nearby. Who can resist a bit of shopping, even when you're on your honeymoon? Both Chaweng and Lamai offer traditional Thai food markets, while Bo Phut (or 'Fisherman's Village') is home to fashionable boutiques, hand-craft shops and art galleries. 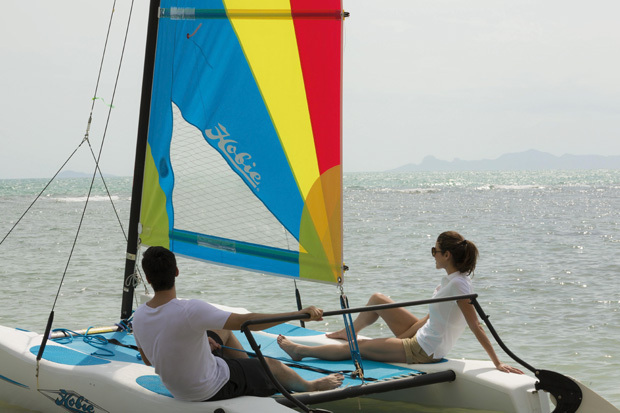 Back at the resort jump on a mountain bike to explore the surroundings, enjoy a Thai boxing or yoga class, play a game of tennis or make use of the on-site Fitness Centre and varied water sports. We checked out the excursion to meet the neighbouring pink dolphins. The private speedboat took us out to some of the dolphin's favourite spots off the coast of Khanom on the Thai mainland. We then stopped off for some snorkelling and sunbathing on a nearby unspoilt beach. We don't get much 'us' time with the hustle of bustle of everyday life, and little ones, but this break was the perfect opportunity to enjoy each other's company surrounded by the stunning scenery of this tropical paradise – bliss! - Check out the numerous excursions that can be arranged by the resort – including elephant trekking and quad biking. - Indulge in a luxurious treatment in the onsite spa. 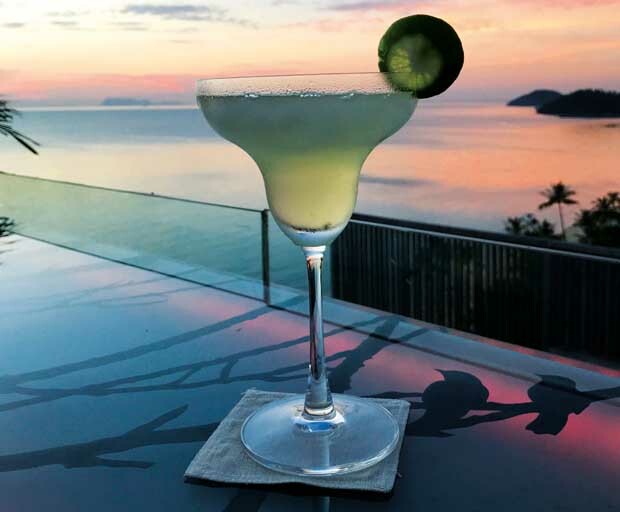 - Sample Thai canapés and cocktails in Air Bar – these are complimentary when enjoying Intercontinental Club Benefits and the views of the sunset are amazing. - Enjoy traditional afternoon tea in Serene, the lobby café and bar. - Relax with an after-dinner drink at The Fireside on the beach. In primal times fire signalled a time and place for gathering within communities so Intercontinental have replicated this in style! - High-factor sun cream – don't be fooled by the cloud coverage, even when the sun's not out, you still catch the rays. - A hat and cool clothing – it's 30 degrees in the evening and humidity's high. - Insect repellent – the tropical environment comes with mosquitos and other delights of nature. I'd advise you to keep your doors and windows closed. - Your camera – words don't do justice to the surroundings so you'll have to capture it in pics instead! Book the Romantic Escape, which starts from approximately £241 per room per night based on two people sharing a Resort Classic Room. The package includes daily breakfast, two cocktails, a private dinner on the beach, romantic spa bath, 60-minute therapeutic couples body massage and a bottle of sparkling wine. Minimum three-night stay required. Thai Airways has return flights to Koh Samui from £515.87 (based on travel in May, 2017 and subject to change). Visit www.thaiairways.co.uk or call 0330 400 4022 to book.